AEOLUS - Margate — ANSO. Surrounded by water since its construction in 1856, the harbour arm has long served a purpose as a means of leisure and trade in Margate. The seafront and harbour are the primary reasons for Margate’s existence and still key to its identity. The stone pier is an iconic architecture of the town landscape as well as its harbour golden sands bay revealed at low tide. Over the years, the fish industry gradually shifted to other Kent seaside towns (such as Ramsgate, Dover and Folkestone), capable of providing a greater access, considered as ‘wet harbours’ . Whereas in Margate, the following tidal phenomena ends up restraining the use of the infrastructure, leaving the brutalist-shaped stone pier in a serious state of decay : a neglected space conquering the sea. How to restore the historic link between the town and its potential access to water ? 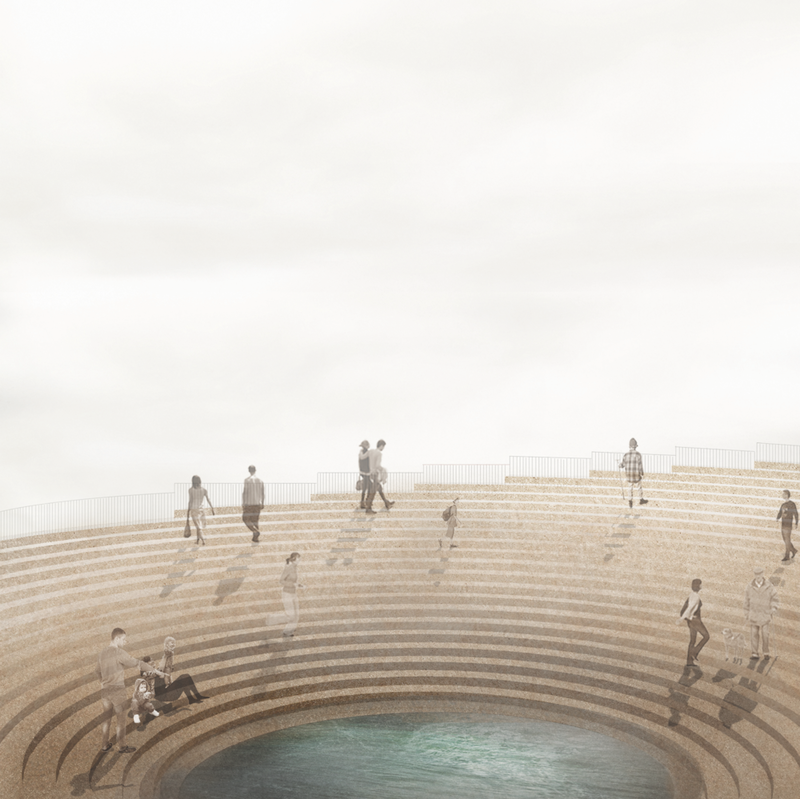 Having always been a Pier 'for People', the new proposal aims to create a space to admire the spectacularly link between the land, the sea and the sky : revisiting the legacy of the english sea side heritage. 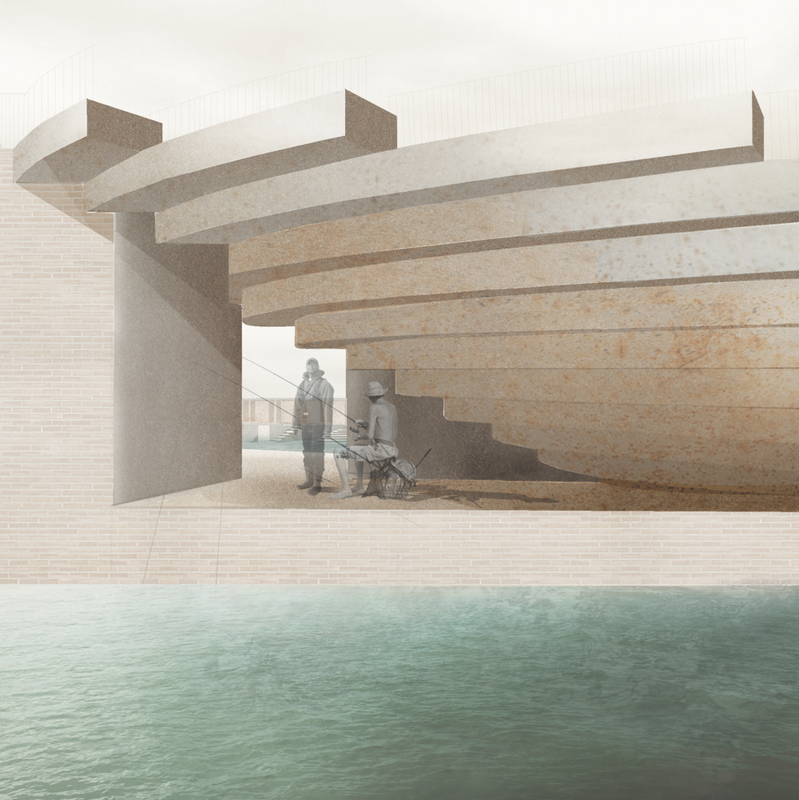 Basing my design on the theory of Escapism I explore the psychogeography and narrative of the spaces. The proposal will transform the waterfront and encourage new uses to provide a range of activities all year long to ensure the town regains its status as a major leisure destination. Much like the fisherman exploited the sea to its full potential, the identities aims to regenerate the outstanding history of the imagery, sound and economy of the Harbour Arm.